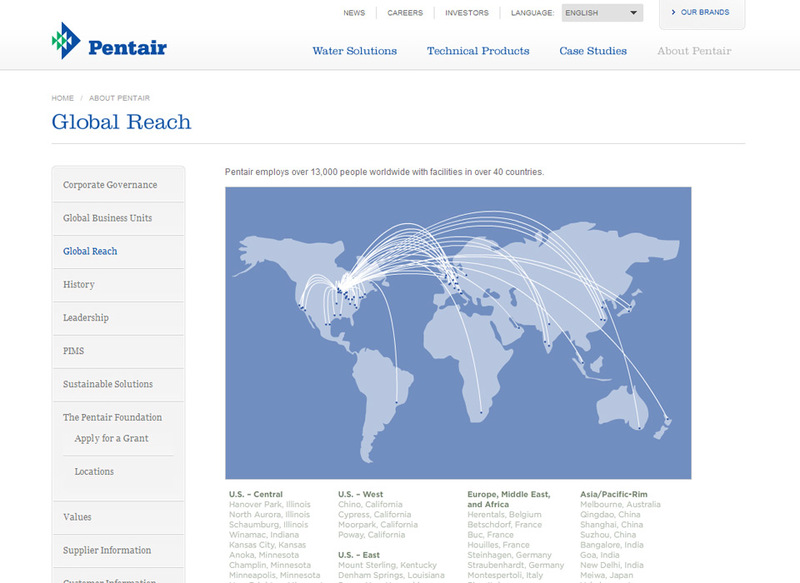 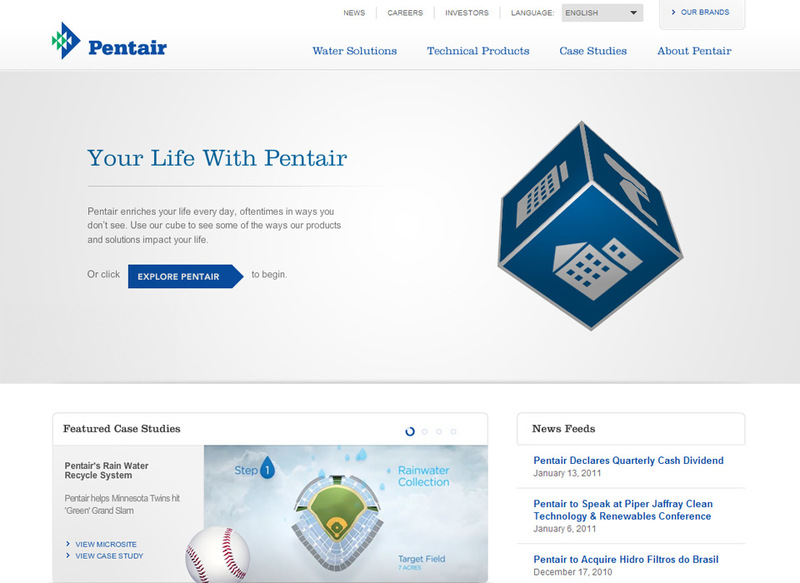 When Pentair approached us, they were a large holding company that was supporting over 50 water and equipment protection brands in their portfolio. 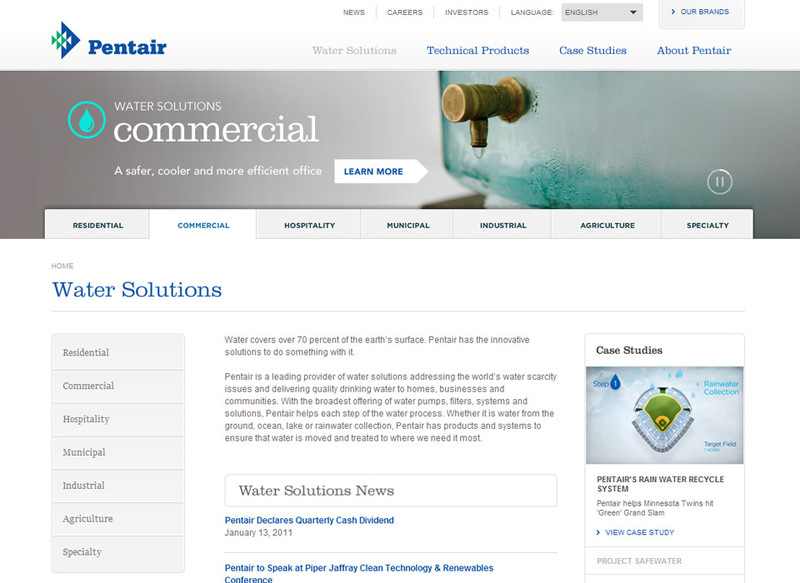 They needed an agency to help them reposition the holding company brand (i.e. 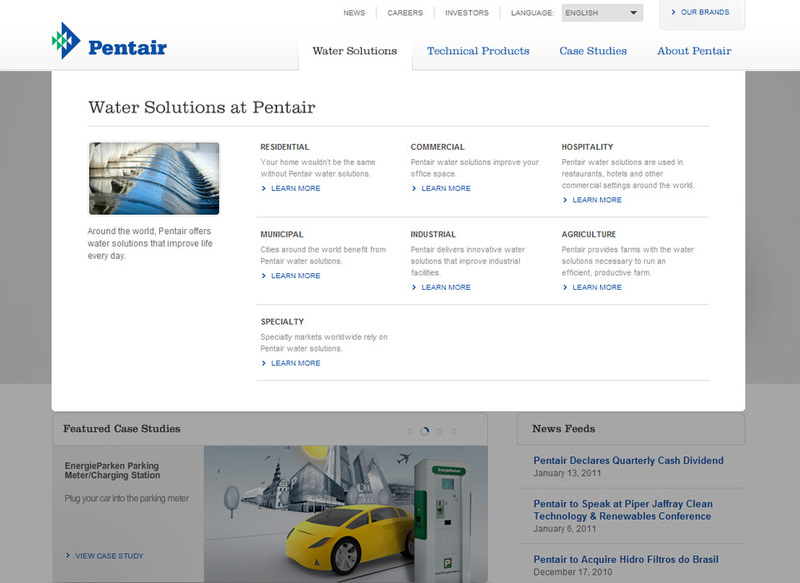 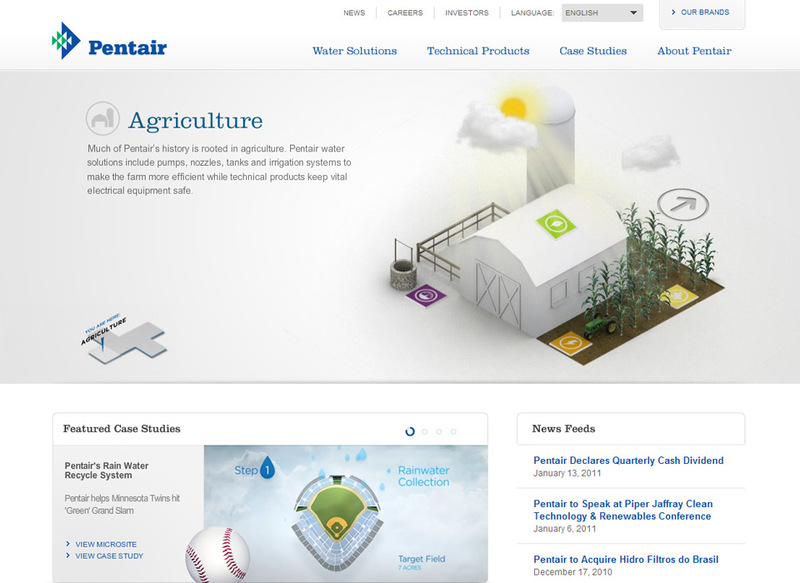 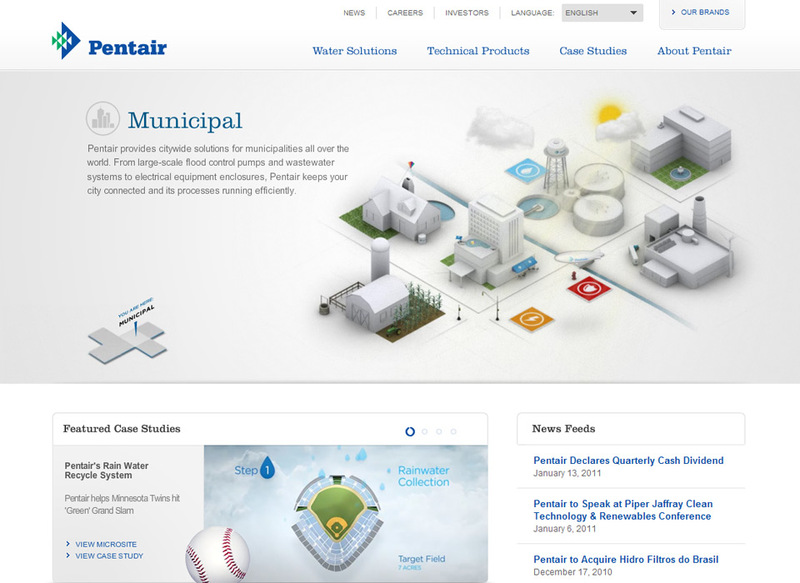 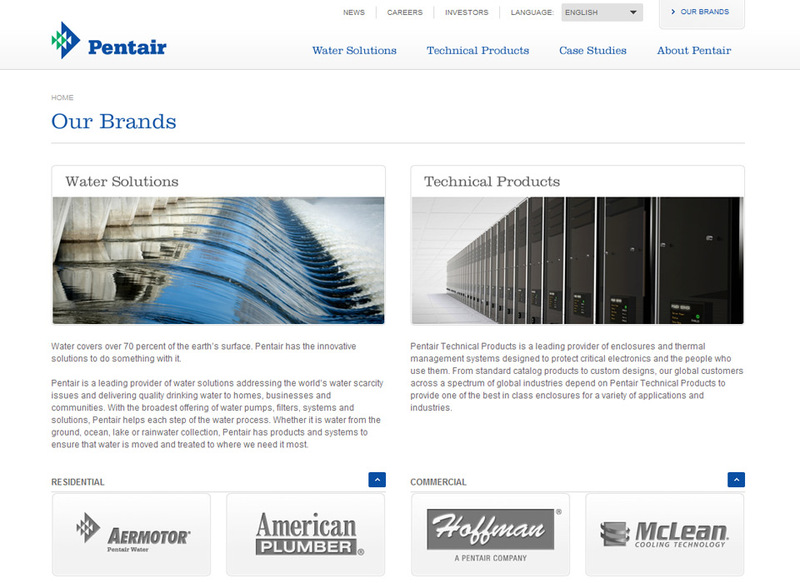 Pentair) as the flagship brand for their business, and reorganize the 50 portfolio brands beneath it. 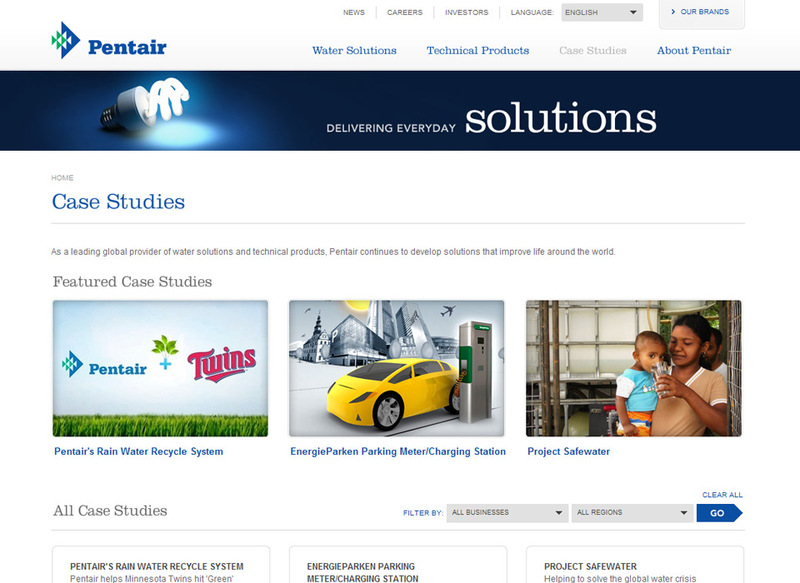 We presented a 2 year road map for the transition that included a corporate website redesign, the redesign of their intranet, and the redesign of 10 brand sites.